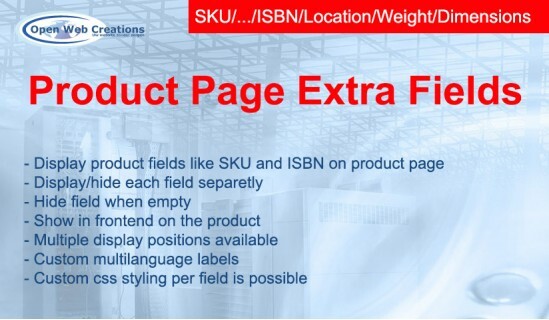 The Product Page Extra Fields extension displays product fields like SKU, UPC, EAN, JAN, MPN, ISBN, Location, Weight, Dimensions, Release date to the product page. Show all fields after availability stock field. When a field is empty, it will not be displayed. The field labels can be set for each different language. Custom styling is possible on all fields together or seperatly like padding, font size and color. 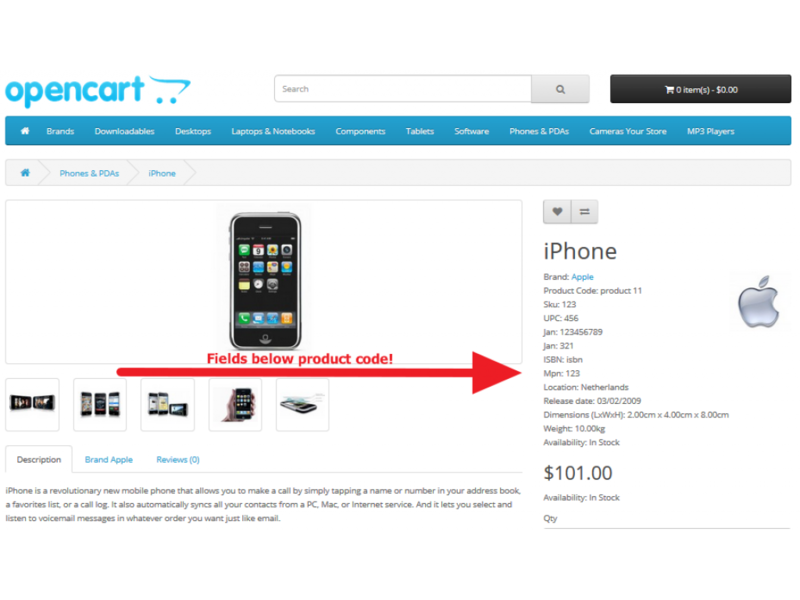 Compatibility: Product Page Extra Fields extension works well in OpenCart version 2.0.0.0 and above. 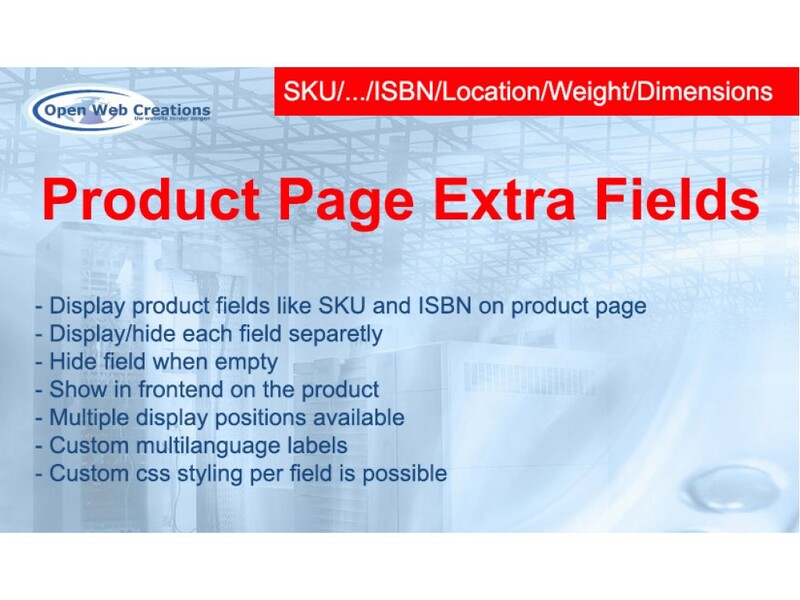 Product page: Show product fields like SKU, UPC, EAN, JAN, MPN, ISBN, Location, Weight, Dimensions, Release date to the product page. 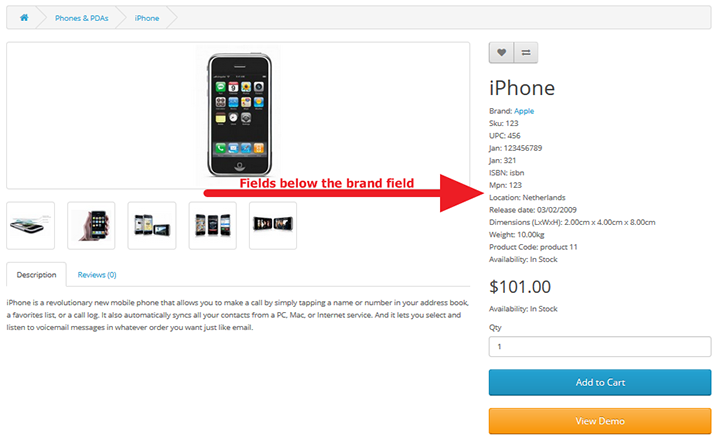 When a field is empty, it will not be displayed. Field labels: The field labels can be set in the extension settings for each different language. Custom styling: Custom styling is possible on all fields together or seperatly like padding, font size and color. Update Notification: When a new update of the extension is available, a notification will be displayed with changelog. The extension doesn't overwrite any system files. Help text available within the extension. We provide support only for valid Open Web Creations product purchases. Our reply time is up to 48 hours within business days. We reply all support requests in our Support Forum from oldest to newest. Please do not repost if you are not adding essential information to the opened support requests. We do not provide support on weekends and national holidays. 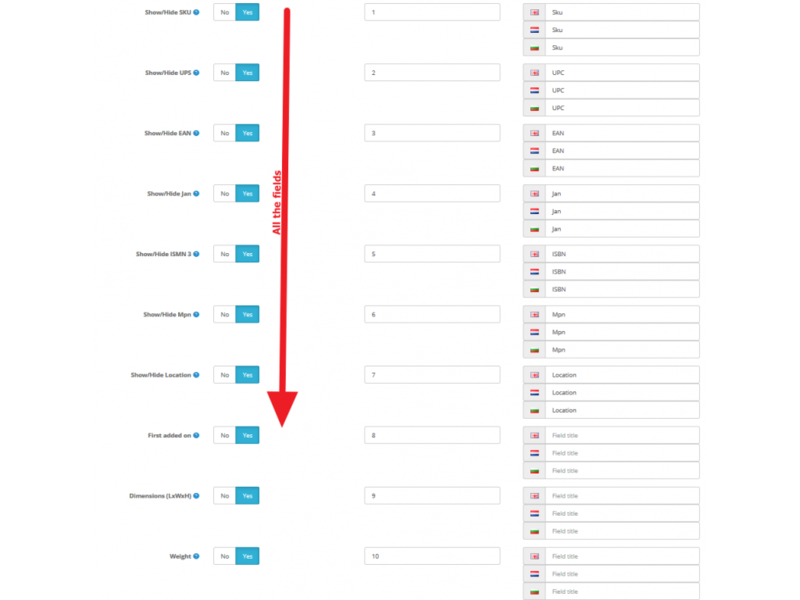 Our support team working hours are from 9 AM - 5 PM (Monday-Friday) at (GMT/UTC +1:00). Sometimes we may need access to your FTP and web store admin. We cannot guarantee that all of our modules will be out-of-the-box compatible with any other extension, theme or a customized OpenCart. 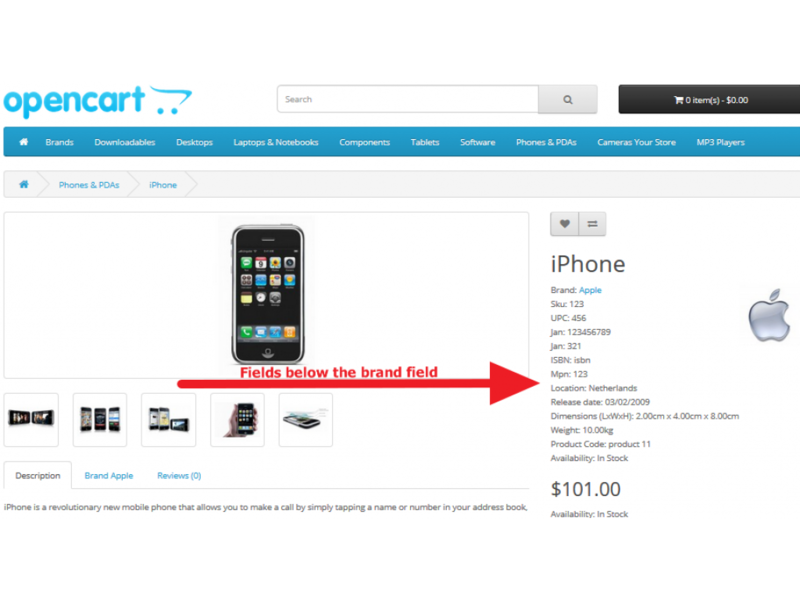 Product Short Description extension is a very good improvement for displaying product descriptions o.. 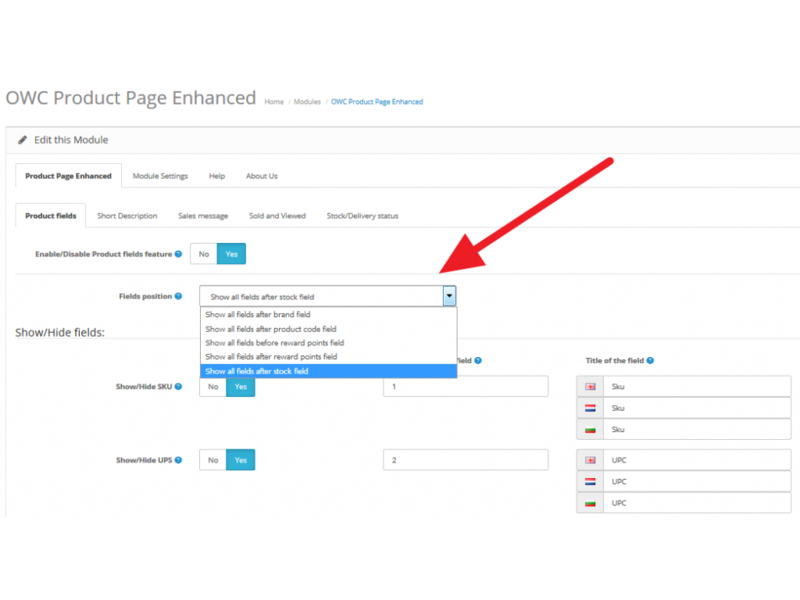 Product Sales message extension adds 8 features in one:Product Sales message extension is a very goo.. 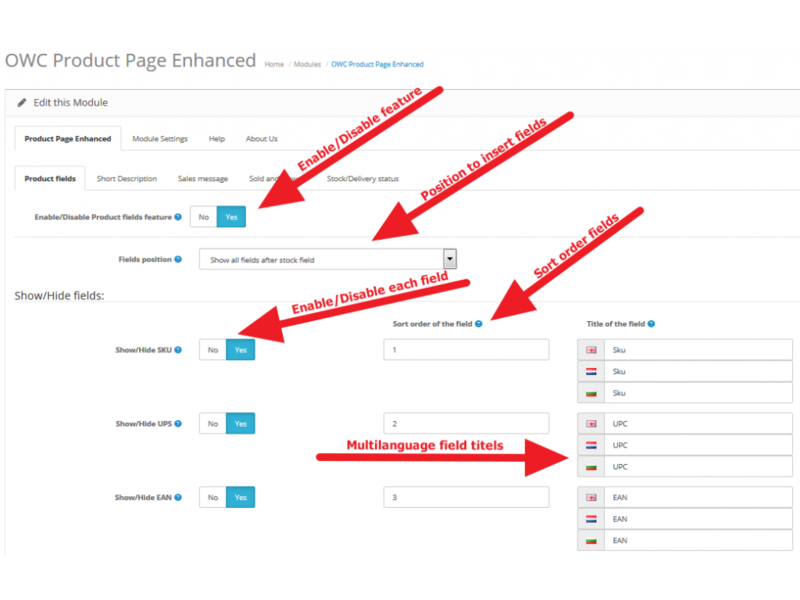 The Product Sold and Viewed extension adds two extra product fields, the quantity of .. 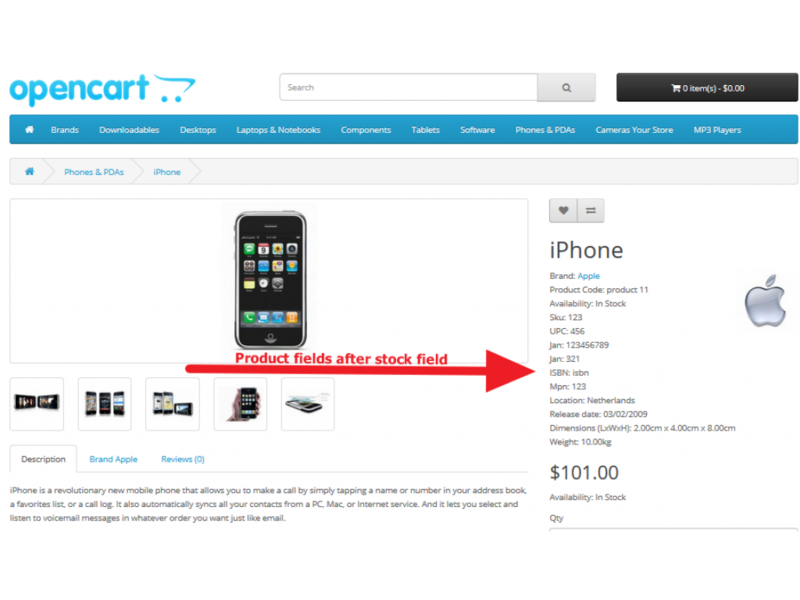 Product Stock/Delivery status extension adds 13 features in one:1: OpenCart Availability ‘In st..